At last. NVidia has been quite silly with the whole "WE ARE G-SYNC" thing. Now that we will have VRR on most monitors, capping framerate to 141 + FreeSync will be as smooth as 240hz + uncapped framerate. The only difference will be the input lag, slightly better on 240hz. But you will still need a beefy CPU and GPU to feed really high fps and on many games that´s very hard. While a 141fps cap at 1080p is very easy for today´s tech. A 3,5ghz 4cores/8threads CPU has no problems sustaining 141 fps on most games. While for 180-200-240fps you need overclocked Intel chips at least 4,5ghz. Worth mentioning that having inconsistent framerate, like 170fps to 240fps, on 240hz monitor, can lead to worse aim than having constant 141 locked fps on 144hz, as it affects mouse sensitiviy and response time. A question, using the new option with freesync monitors. Should we also have v-sync enabled in the control panel as with normal g-sync? ^ If you want zero tearing, yes, V-SYNC on (preferably in control panel, with in-game V-SYNC options off). 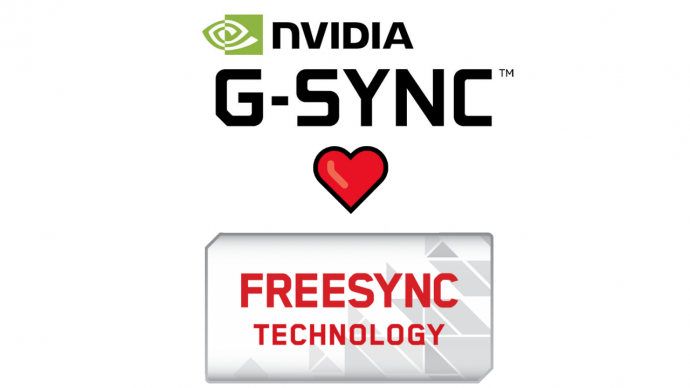 All G-SYNC range rules apply to FreeSync; -2 or -3 FPS limit below given max refresh rate, and VRR + V-SYNC "on" for no tearing within VRR range. jorimt wrote: ^ If you want zero tearing, yes, V-SYNC on (preferably in control panel, with in-game V-SYNC options off). This is all new. Drivers literally got released only some hours ago. It's expected that everything works the same way as normal g-sync, but who knows. RealNC wrote: This is all new. Drivers literally got released only some hours ago. It's expected that everything works the same way as normal g-sync, but who knows. No doubt, but as far as I know, this is basically FreeSync mode on a Nvidia GPU (through DisplayPort only, currently) done through driver software. And as the Battle(non)sense video tests showed a while back, upper-limit range rules for VRR are the same for both G-SYNC and FreeSync, including tearing within the VRR range with the equivalent V-SYNC setting off. E.g. adaptive sync is adaptive sync. But yes, with FreeSync monitors (especially the models that aren't officially supported by the Nvidia driver update), the rest of the issues (or lack thereof) are going to be highly model specific. I wonder if the ToastyX CRU "Force FreeSync out of HDMI" trick is also workable on NVIDIA. Also, I have an XG258 and PG258Q here (originally for a different review), I'll give it a test with some 960fps high-speed camera as well as some other testing methodologies. It will be a shorter XG258-vs-PG258Q that won't be a detailed GSYNC101, but it will help provide insights of GSYNC versus FreeSync from the same drivers. And I'll test out a Radeon too, to have GSYNC-vs-FreeSync.